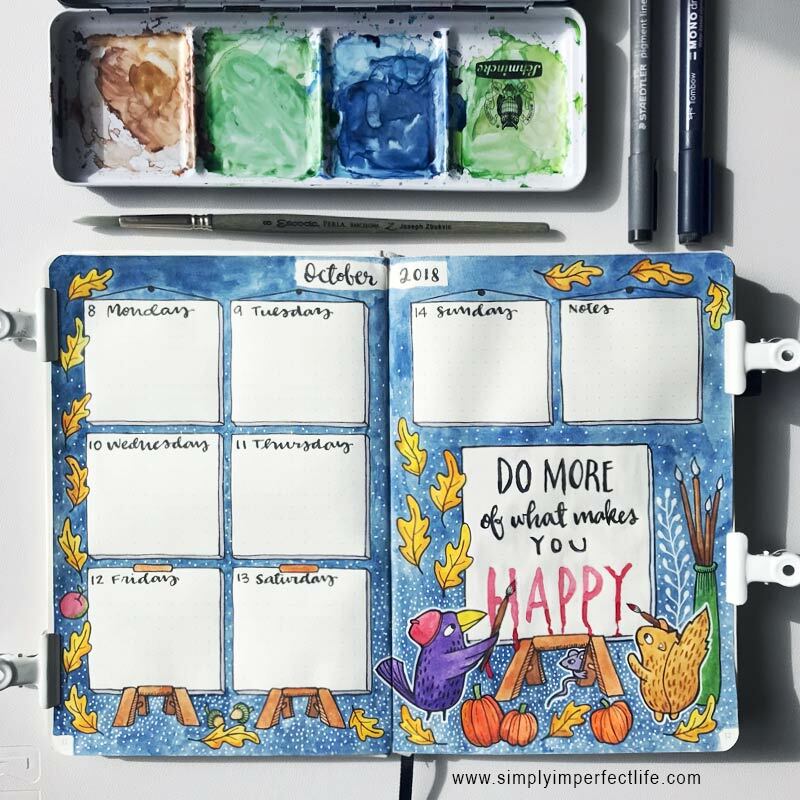 Here are my October spreads so far: Braindump, Future Log and weeks 1-4. Phew. Have been so busy with planning the business and sorting it out for the next year, that it’s been tough finding time to decorate the planner. I do it though, as it’s therapeutic and relaxes me so that I can return to the chaos of work feeling just that bit more refreshed. Of course having rare gorgeous days, where I can plan and organise while sitting in the sun, helps hugely too. The final week, above, is the ‘celebrate Halloween’ week! Candy corn, stars and a black cat, boo. 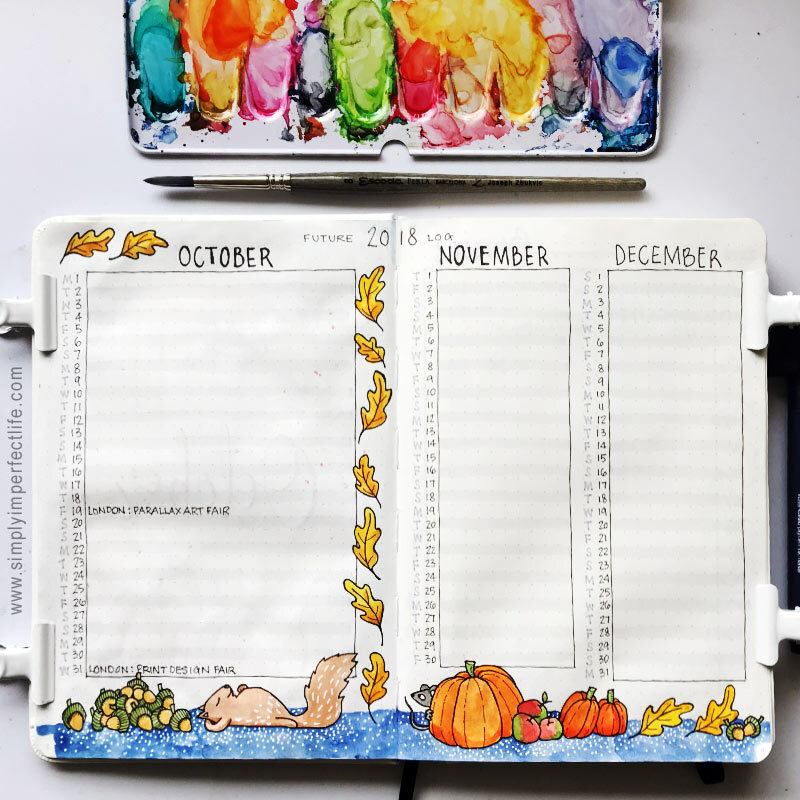 Below is one of my Daily pages — they get decorated if and when I have the time … and that little squirrel seems to have snuck into a few of the spreads this month and am quite enjoying his company! I’m really going to have to try to go for simpler spreads next month as it’s going to be even busier around here. Not sure yet of what I’ll do and only have a week left to plan it … where has the time gone?! 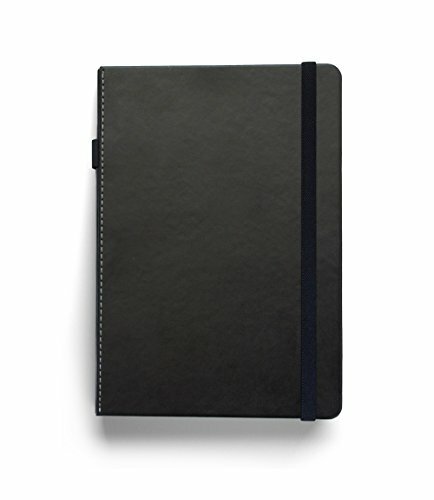 Hope you’re all up to date with your journals. Cheers.